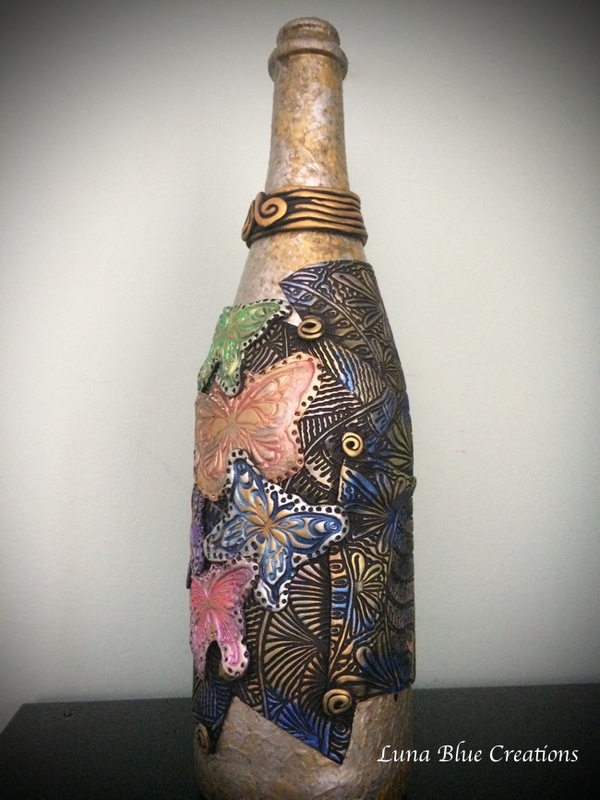 Metallic Butterflies, Polymer Clay Covered Wine Bottle, Polymer Clay Art, Handmade Decor, Glass Bottle, OOAK. 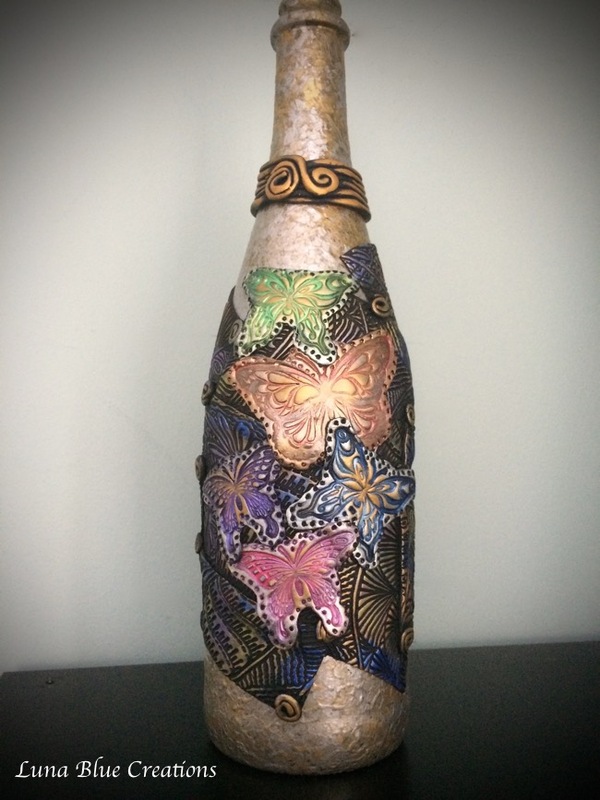 It is my Metal inspired with Butterflies. 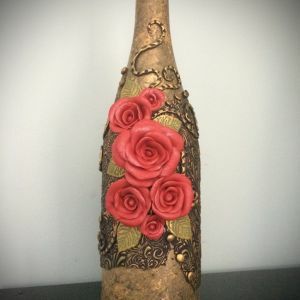 It is made out of empty 750 ml wine bottle, Multi surface paint, polymer Clay, pearl ex powder, viva inca gold & varnish. 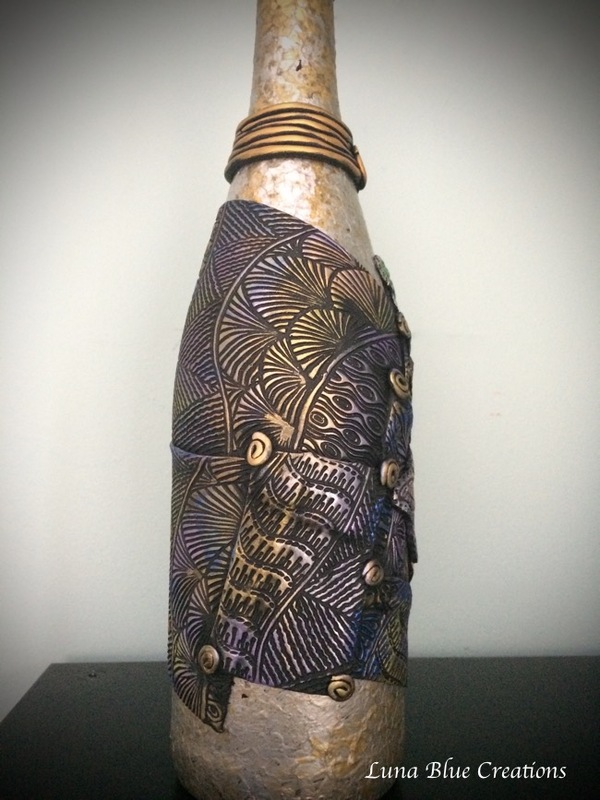 The wine bottle is partly painted with multi surface acrylic paint and covered with polymer clay details. 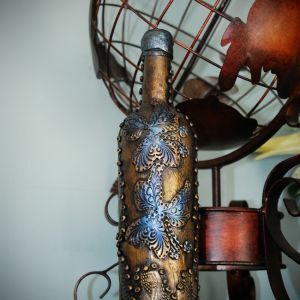 All Details are handcrafted individually and added to the bottle.